A lower fat, high metabolism boosted curry. 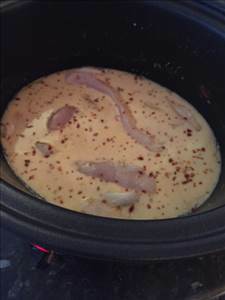 Add all ingredients to a slow cooker and set to low. Add 300 ml of water. Cook for around 4 hours till meat is tender. 103 members have added this recipe to their cookbook. A versatile vegetable spread that can be a side dish or a tasty snack. Smoked salmon salad with tomatoes, olives and lime dressing. There are 216 calories in 1 serving of Red Thai Chilli Chicken Curry. Calorie Breakdown: 32% fat, 11% carbs, 57% prot.